In today’s networked world, critical data is stolen in real time. Bots, viruses and denial of service attacks propagate at network speeds. Escalating adoption of wireless, social networking, cloud computing and virtualization technologies increases your security risk. 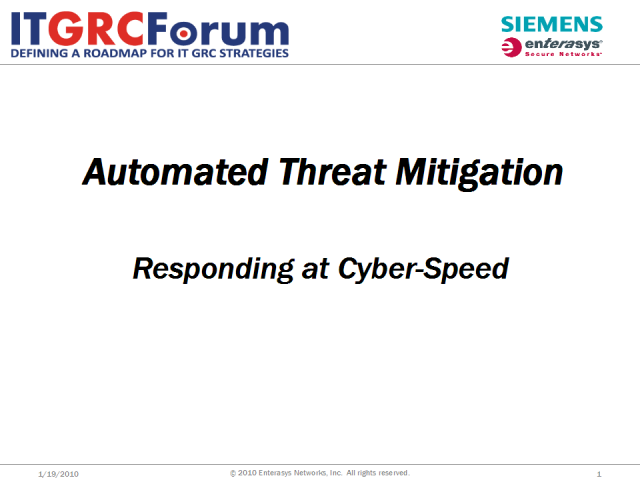 The only effective threat mitigation strategy is an automated real time response that stops the attack and prevents the attacker from trying again. This webinar discusses effective, automated threat mitigation and IPS solutions for enterprise networks and cyber-speed threats.